Earth Force is a leader in networking community partners, training local groups, and providing curriculum resources to run service-learning and civic action programs in their community with the mission of creating active citizens who improve the environment and their communities now and in the future. 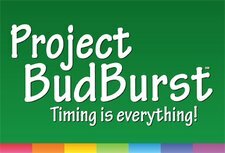 Project BudBurst is a national group of citizen scientists monitoring plants as the seasons change to understand changing climates. Teachers are able to register their classrooms to actively participate in this citizen science project. Students and teachers will have the opportunity to compare plant growth, spring blossom dates, and communicate with scientists across the country. Click here to see how this project fits into the state and national curriculum for grades K-4. EPS engages students, teachers and community partners in restoring native habitats on schoolyards and nearby natural areas. The habitats they create together become learning grounds for science, math, language arts, social studies, student-led inquiry, service-learning and unstructured nature play. MEECS contains seven (7) Michigan-specific units that provide an opportunity for students in grades 3-9 to learn about Michigan’s economy and environment through inquiry oriented, data-based lessons in Science and Social Studies. The mission of Project WET is to reach children, parents, educators and communities of the world with water education, includes water lesson plans, water games and water activities on watershed protection, water quality, water conservation, water pollution, water cycle, etc. Project WILD is one of the most widely-used conservation and environmental education programs among educators of students in kindergarten through high school. The program emphasizes wildlife because of their intrinsic, ecological value as well as their role in teaching how ecosystems function. It is based on the premise that young people and educators have a vital interest in learning about our natural world. This instrumental learning experience allows students the opportunity to raise, care for and maintain the salmon in their classroom from fall until spring. The program culminates at the end of the school year with the release of the young fish in a local watershed that feeds one of the Great Lakes. Students and teachers participate in a program to follow the life cycle of salmon from eggs, to hatchling to smolt, starting in the classroom. Project WILD’s new high school curriculum, Science and Civics: Sustaining Wildlife, is designed to serve as a guide for involving students in grades 9-12 in environmental action projects that benefit local wildlife. It involves young people in decisions affecting people, wildlife, and their shared habitat in the community. 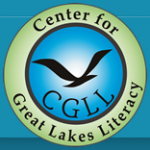 This curriculum can engage upper elementary and high school students in Great Lakes environmental stewardship. 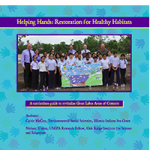 It is designed for schools located in Areas of Concern (AOC) but can apply to any Great Lakes community where large scale environmental cleanup projects are ongoing.